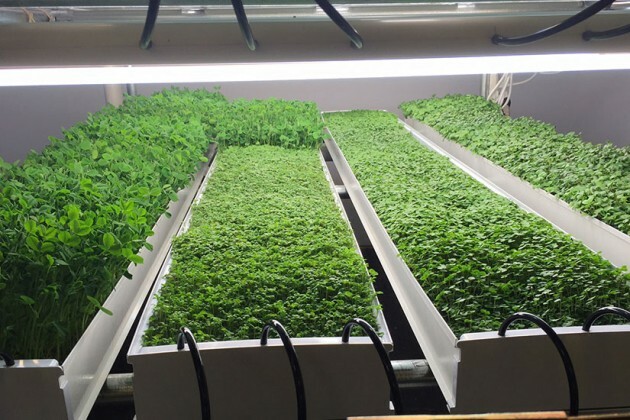 They’re tiny, they’re nutritious, they’re tasty, they’re microgreens. 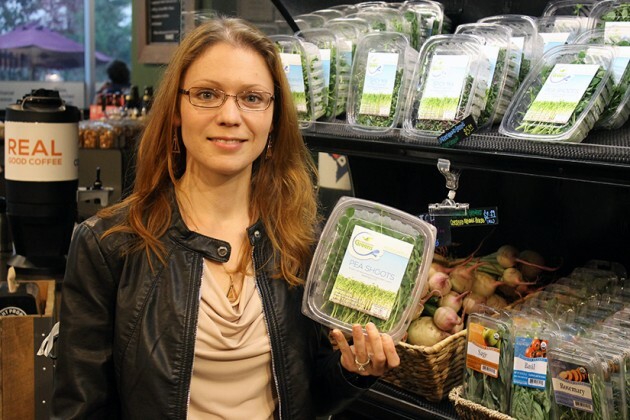 And Maryna Higgins, the urban farmer and Dupont resident behind D.C.-based growing company Underground Greens, seeks to put more of the small salad shoots on your plate. 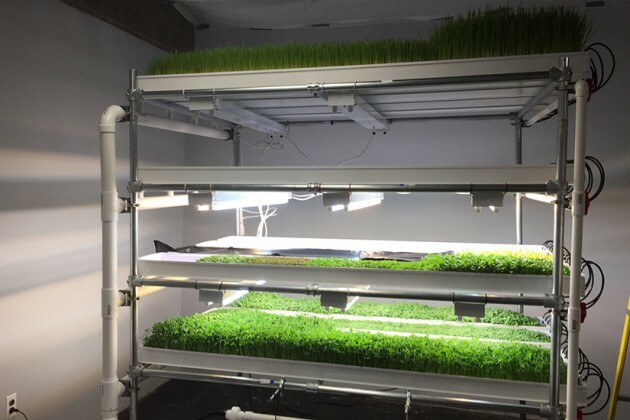 Higgins grows and harvests the sprouts inside a small space near Union Market, then delivers them by bike to local stores and restaurants such as Jrink, B Too, Press Juice Bar and Glen’s Garden Market. To grow the sprouts, Higgins spreads seeds on hemp mats placed under sunlamps. The mats are hooked up to a hydroponic watering system, which circulates fresh water to keep the plants hydrated. The sprouts mature on four-tiered shelves, and are ready for harvest after about eight to fourteen days. The entire process, Higgins said, is designed to be as eco-friendly and energy-saving as possible. Higgins hopes to fill her space near Union Market with trays by the end of the year. Once she fills her 900 square foot space, she said she’ll look for something a little larger. But her aim isn’t necessarily to distribute as many greens as far and wide as she can. Still, the microgreen grower said it would be nice to expand a little. Higgins said she’d also like to start growing other leafy vegetables such as lettuce and herbs.